The Global Trees Campaign is working with Ghent University (http://www.spermatophytes.ugent.be) and the Instituto de Ecología, A.C. (www.inecol.edu.mx) on a PhD project titled: ‘The Caribbean Magnolia species (Magnoliaceae): assessment of the genetic diversity and the underlying evolutionary history’. There are 15 native Caribbean Magnolia taxa, which all are considered threatened by the Red List of Magnoliaceae. Generally, the Caribbean Magnolia species are threatened due to their small (known) distributions and either past or ongoing deforestation. They are unrepresented in ex situ collections (botanic gardens and arboreta) and their diversity and evolution has not yet been studied using molecular approaches. Surveys of the Magnolia species from Haiti, the Dominican Republic, Puerto Rico and the Lesser Antilles have been conducted during three expeditions in 2015 and 2016 and now the data are being processed. From the information gathered during this field work, we will not only be able to assess the species diversity in the visited areas, but also construct phylogenetic hypotheses, and conduct conservation genetic research. In the Dominican Republic, the islands of the Lesser Antilles and Puerto Rico, populations of all recorded species were found. However, in Haiti, only populations of Magnolia ekmanii were sampled; the status of the Haitian Magnolia emarginata and Haitian populations of Magnolia domingensis remains uncertain. In Cuba, we are collaborating with our colleagues of the Jardín Botánico Nacional in Havana. 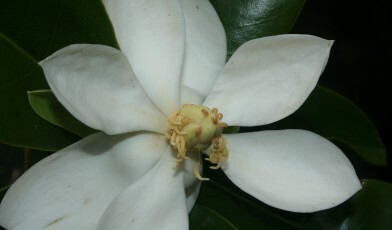 They have already evaluated the diversity of Magnolia in Cuba, wrote a taxonomic revision, and are currently conducting detailed surveys of Magnolia populations (see: Cuba’s Critically Endangered Magnolias – http://globaltrees.org/projects/conserving-critically-endangered-magnolias-cuba/). We aim to include the Cuban species in our phylogenetic study, and support the population genetic research on the Cuban Magnolia species. In Puerto Rico, we are collaborating with the Arboretum Parque Doña Ines of the Fundación Luis Muñoz Marín and Para La Naturaleza (http://www.paralanaturaleza.org/en/) to grow seedlings of Magnolia portoricensis in Puerto Rican and Belgian nurseries. The surviving seedlings will be used to execute genetically targeted ex situ and in situ management. For further information, please contact Emily Veltjen (emily.veltjen@ugent.be).